My name is Giada Marcuzzi and I am the Founder and creative Company Director at GMW. I first started working as a wedding planner in February 2012, based in the city that never sleeps a.k.a. London. It is now five years that I have been making dreams come true and bringing joy to numerous couples. Indeed, it is five years that YOUR DREAMS have become MINE, too. Long story short, here we are with my own incredible business and team. If you want to know more about me, CLICK HERE. A graduate in Foreign Languages and Literatures, I have been always fascinated by Interior Design trends and I have even fancied the idea of becoming an architect. Luckily for me, fate decided to step in. Nowadays I am officially “addicted to weddings” and to the emotions that my wonderful job makes me feel every single day: indeed, there is a deep sense of fulfillment and enthusiasm in all the challenges each wedding makes me face – you see, I just could never imagine myself doing anything else for a living. On one hand, I see myself as a creative: I love the idea of developing exclusive designs for weddings and I am literally obsessed by original and out-of-the-box concepts. On the other hand, I have been frequently called “the Queen of Logistics”: Accuracy and Efficiency are my talents and nothing wrong gets past me when it comes to wedding planning. Brides- and grooms-to be are often amazed as they receive one of my e-mails in the dead of night, but hey, I am always inspired of doing more and more for my customers, plus it is not easy to wait all night to share breathtaking ideas! My name is Anna and I have been always a dreamer. What, you do not believe me? Well, when I was just a little girl, I was dreaming of becoming a lawyer. Today, my dream is to make YOUR DREAMS come true. If you want know more about me, CLICK HERE. 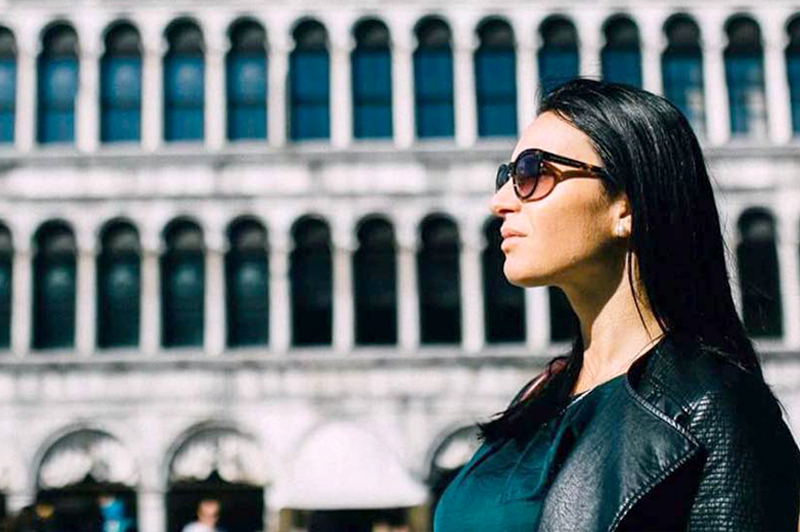 Former Law student, I was only nineteen when I moved to Milan to pursue my dreams and I was lucky enough to make a good bunch of friends and to fall in love with one of the most amazing cities in the world. I am a globe-trotter and I simply enjoy life and spending quality time with my friends. I am an aesthete who loves details and inspirational ideas, therefore I could literally spend hours on Pinterest and Instagram only to let my creative mind fly. 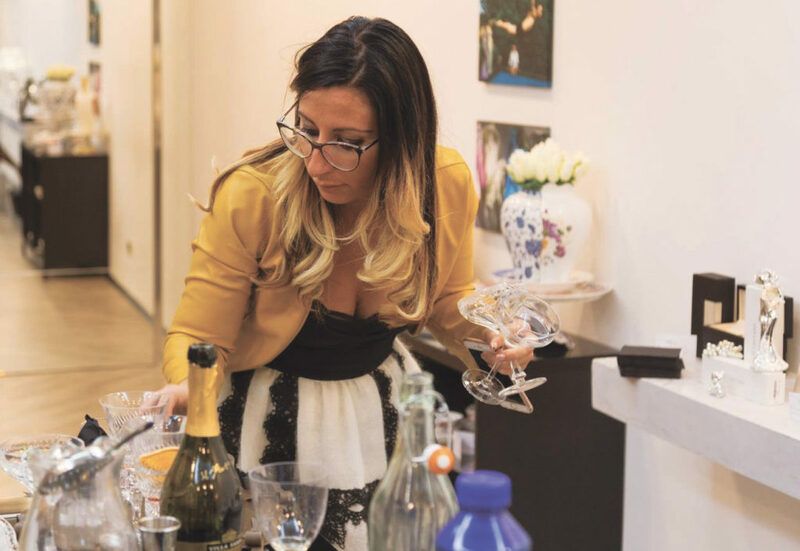 I have been always fascinated by Wedding and Event Planning, so when I had the possibility, I leapt at the chance of participating at one of Giada’s Wedding Planning courses in Italy. From then on, I have not only found a great colleague, but also a good friend. During these incredible years at Giada’s side, I have learned that being a Wedding Planner means to be committed to all your customers and to be reliable and always on time for all your projects. your wedding planning cocktail of travel, food and love! I like to be around positive and proactive people and I strongly believe in – guess what – True Love. To me, being part of the process of making your Big Day a memorable and flawless one is a great emotion and a huge honor. Terry Pratchett once wrote: “Why do you go away? So that you can come back. So that you can see the place you came from with new eyes and extra colors. And the people there see you differently, too.”. In my life I was lucky enough to travel and to meet different cultures, but I have ended up loving my home country even more than when I left it. I strongly believe that anyone should visit Italy at least once in a lifetime. To me, however, the luckiest ones are those who decide to marry in this enchanted land: those people are the ones who will enjoy our landscapes the most and will have the possibility to have a real taste of all our regions. I am a very creative person and I love to challenge and improve myself every single day. My strong background from the restaurant business has allowed me to lead one of the most important parts of wedding planning, which is the wedding reception: from table settings and decorations to wine pairings and multiple courses, the business is no secret to me. My name is Genia and I was born in Moscow, Russia. Few years ago I took a decision that changed my life forever: I have followed my heart and moved to Italy for True Love. A graduate in Literature, I have also worked for several years as a manager in Interior Design’s business. In addition to that, I have been the personal assistant and translator for the former Russian Ambassador in Italy. Working as a personal assistant for the Ambassador has improved my organizational skills and has enhanced my desire to achieve my objectives no matter what. Proficient at withstanding stress, I have all the necessary expertise to be an amazing wedding planner. Since I love to get to know new people and being part of such an impressive group of professional workers, I consider myself as quite a friendly and lucky individual. One of the best things about my job is to be able to make the difference in others’ lives and making their dreams come true. I manage with passion and proficiency GMW services for Russian couples: my job is to back our clients up since day one of our planning and, obviously, to be their lifeline until the “very” Big Day. Send a request for a free meeting with our team. We have an extensive network of offices in Italy and we are always available on the phone and on Skype!